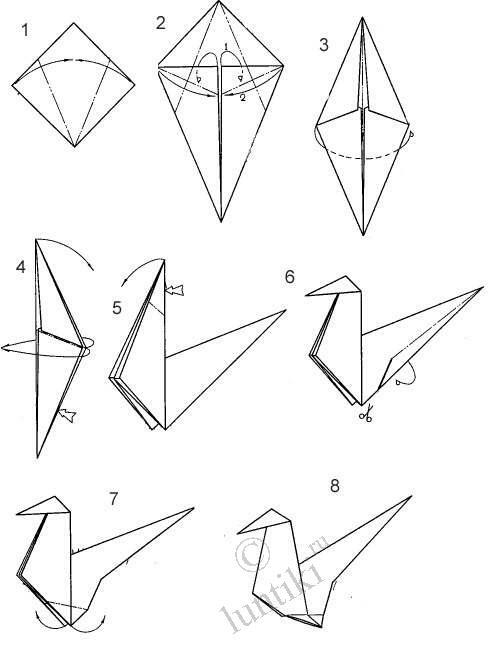 Do you want to enrich your collection of origami schemes of various things, birds and animals? Come to us and we'll gladly help you as paper origami for kids is in the center of our attention. On finding something original and worth making, we put it here for everybody's observation. Choose them and start creating! This time is origami assembly scheme out of paper — the figure of a SEA-GULL in our collection. Begin making it and you'll manage to admire the creation of your children's and your own hands. Besides, your kids will get a lot of pleasure working together with you.